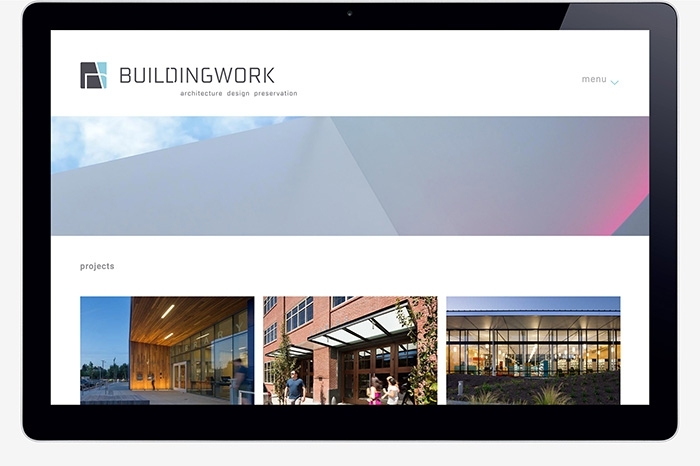 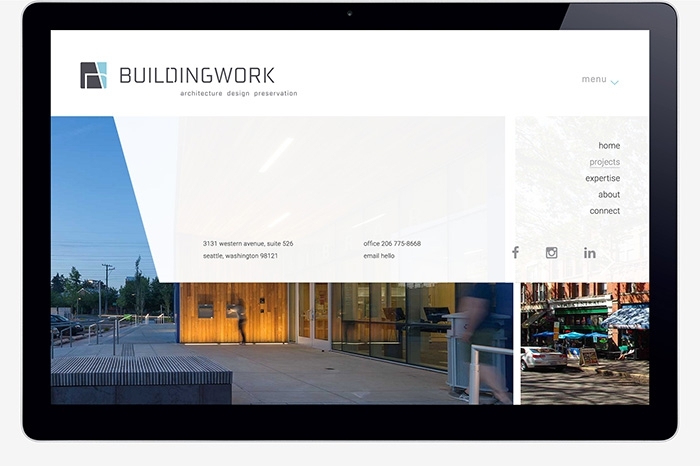 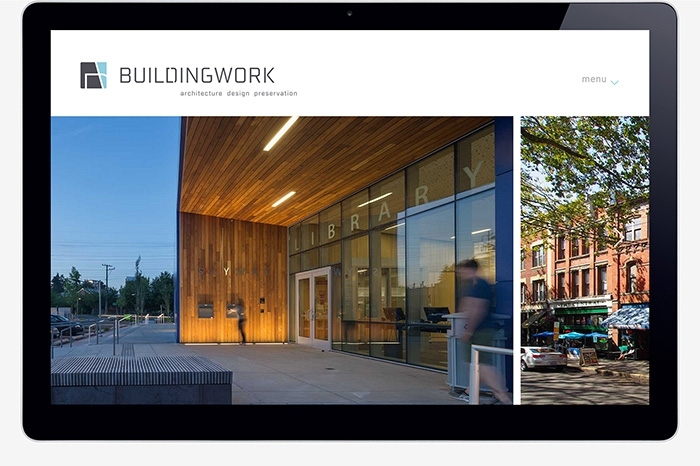 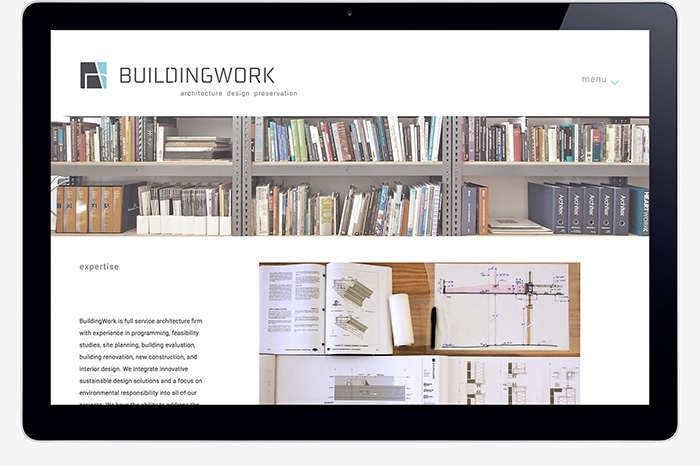 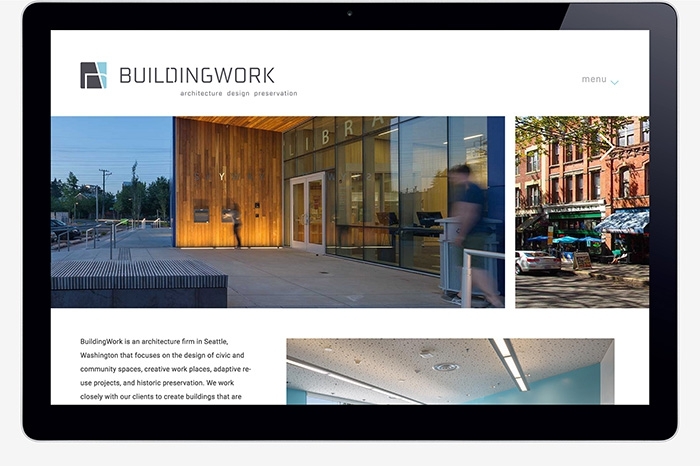 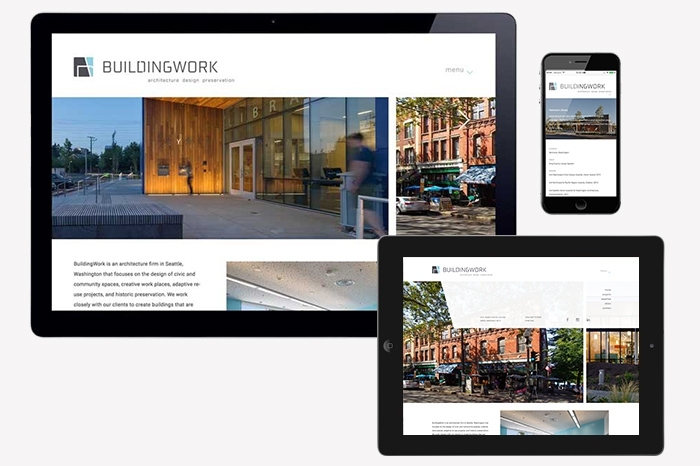 BuildingWork is an architecture firm in Seattle, Washington that focuses on the design of civic and community spaces, creative work places, adaptive re-use projects, and historic preservation. 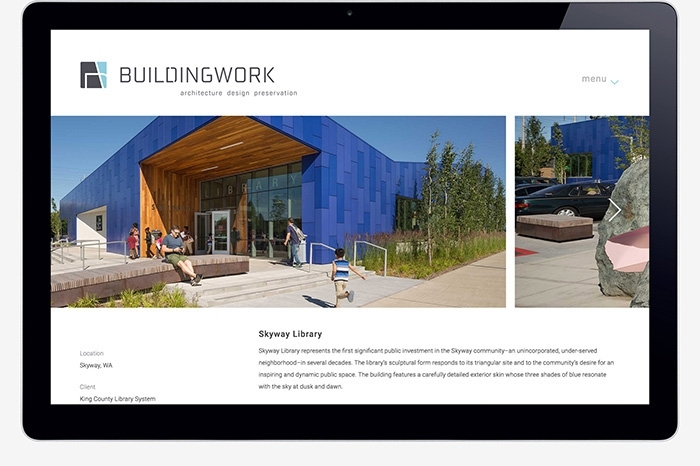 The founder, having left a prominent architecture firm, saw an opportunity to envision a new practice inspired by strong community ties and the preservation of cultural resources. 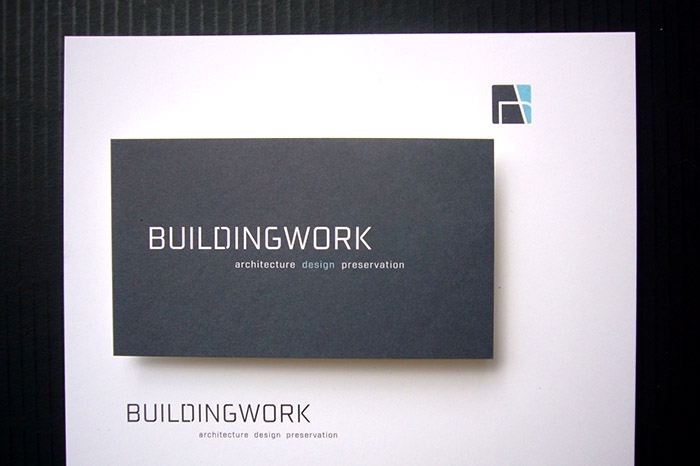 Taking cues from the name, the visual identity evokes the intersection of community and design by symbolically abstracting the B and W letterforms. 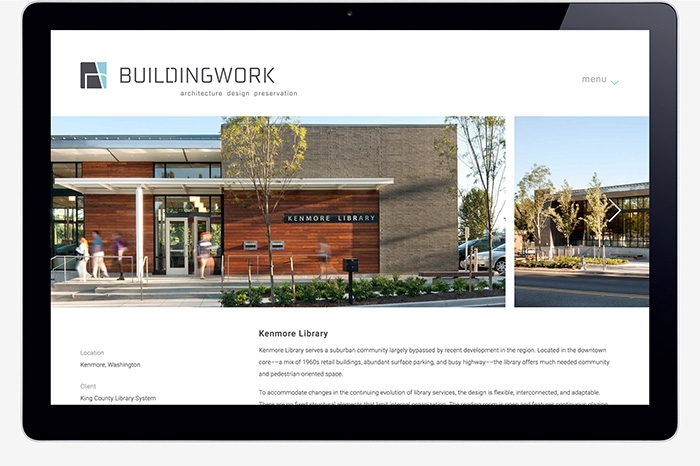 The integration of these ideas play out in the website design, by balancing craft and detail with a design process that emphasizes civic life as the driver for “buildings that are pragmatic, elegant, responsive and user-friendly”. 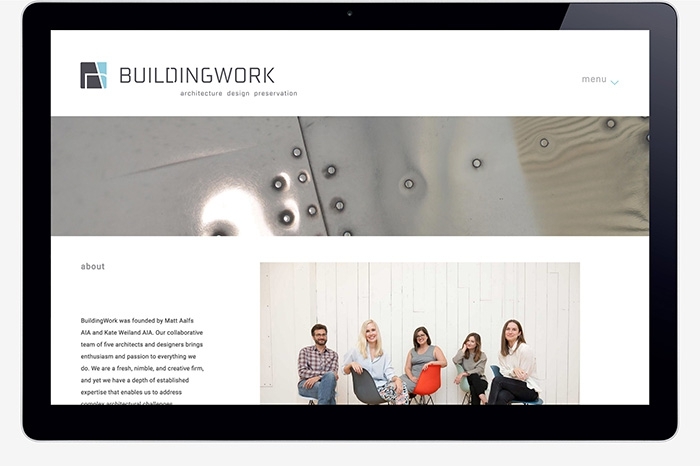 The BuildingWork symbol was developed specifically to brand the firms day-to-day activities across a wide range of media, supporting the idea that people working together make great buildings.